G2 surfaces (in SolidWorks, we call it C2) are very common use on aerospace and automotive design. Or can say that they need 1001 of G2 on their design. It determines how smooth the surfaces connect to another surface. When we apply a fillet on the geometry, is it a G2 condition? Erm... nope!~ I try to explain the different with below image. So, how can we apply a curvature continuity fillet (G2) fillet? Very simple. 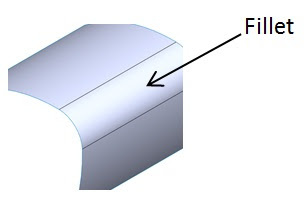 1. apply a normal fillet onto the geometry. 2. Use delete face to remove the fillet face. 3. 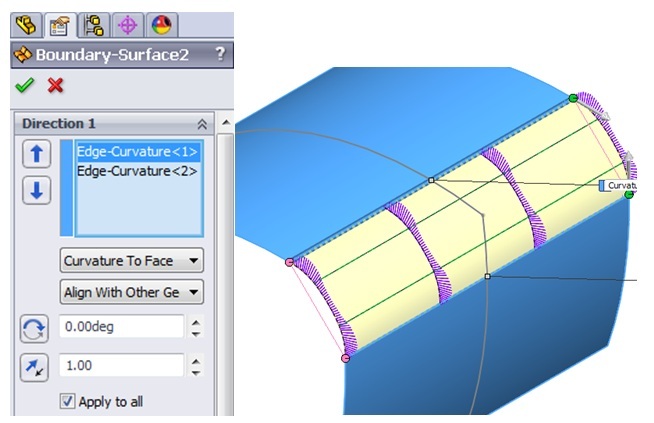 Use Boundary Surface with curvature condition to fill the surface. Now you are able to get a G2 fillet. I say so, very simple. So there is no G2 fillet command? I have to do that on every fillet I want G2/C2 continuity?